As the Puddledock enters the Digital Age, it seems fitting to dedicate this issue and the front page to the woman who made it all possible. 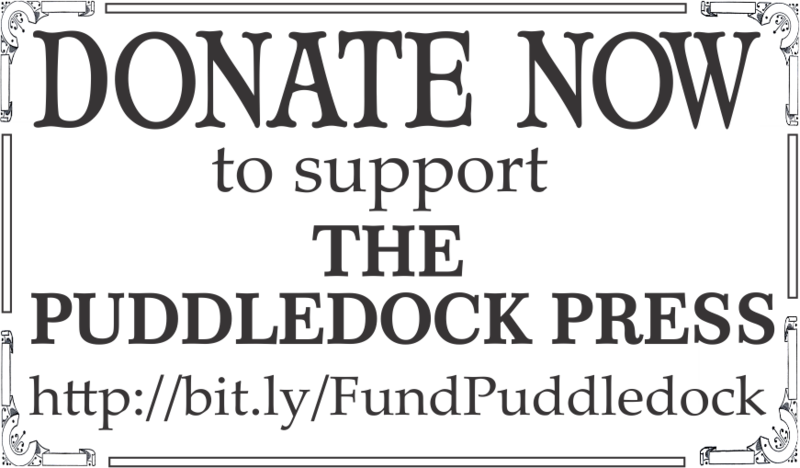 If it wasn't for the strength of will of our editor of the past 30 years, the Puddledock would have most likely been a lost piece of history, just one more thing Farmington used to have. But because of JoAnn's amazing leadership over the past 30 years, the paper has not only survived, it has thrived. 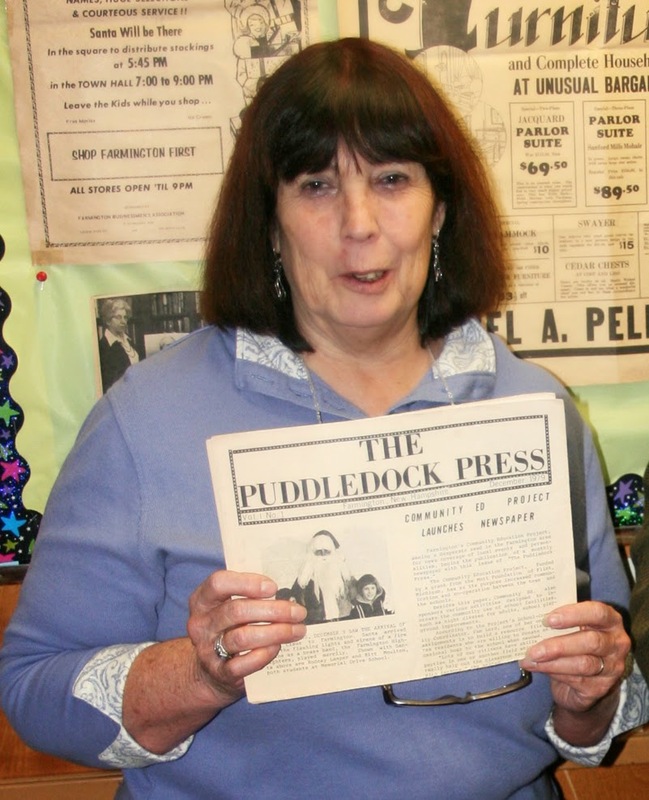 The Puddledock Press was first published in December of 1979. It began with a school grant from the Mott Foundation of Flint Michigan with the purpose of bringing the school and community together through a local newspaper, published by the school and distributed throughout the town. Under the grant, the paper was published by a group of volunteers who worked through the Main Street School's School-Community Coordinator. After the grant concluded, the volunteers kept the Puddledock alive by selling advertising space in the paper to local businesses, a practice which continues to fund the Puddledock to this day. JoAnn started with the Puddledock in 1984 as its advertising and billing manager. She rose to the ranks of editor when the editor at the time failed to show up for a meeting and soon dropped out of the picture altogether. Over the next 30 years, under JoAnn's steady leadership and guidance the paper continued to thrive and grow. At the high point, she was printing 1200 papers. In recent years, the number has been reduced to 600 to save on printing costs. The paper is also available on the Farmington Historical Society's website, where is can be read online or you can download a digital copy. During JoAnn's tenure as editor, the Puddledock office moved several times. From the school, it moved to the Town Hall , now the Recreation Center, basement. Then had a store front office in the Hayward Block. It occupied a suite of offices above Palmer's Hardware before settling back to the Recreation Center, taking over the old police station office, where it currently exists. While JoAnn is leaving the editor's role, she will still be involved in some aspects of the paper, and promises not to disappear as her former editor did. She will guide the Puddledock into its second generation. 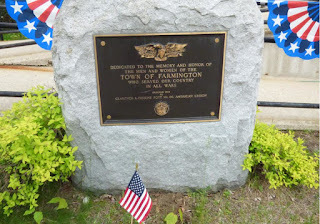 The Town of Farmington applauds JoAnn's efforts and honors her for the 30 years of ups and downs that occur when publishing a local community newspaper with only a handful of volunteer staff. 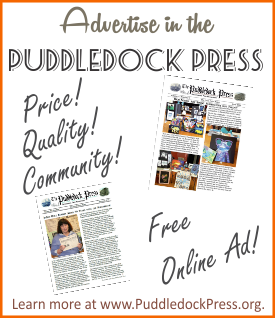 The Puddledock Press offers a unique picture of our Farmington communty. The “Good News” paper that touts the virtues of our small town and local color. Newcomers and life-long residents, of every age eagerly await its arrival at the local store counter tops and office shelves where it can be found, every month. For Free. For the last 35 years. Thanks, JoAnn.